I am a huge fan of “Voltron: Defender of the Universe.” Growing up it was one of my favorite shows. Something about the cross between “Transformers” and “Legend of Zelda” resonated with me so much that the show continues to hold a special place in my heart. So much so, that “Voltron” has become part of my professional life. I served as the “Assistant Editor” on the Media Blasters DVD release and was the subject of my first published article in “Protoculture Addicts” (which you can order here). As you can see, the mighty robot’s and my paths have crossed quite a bit. I guess it was inevitable we’d meet again at the annual New York Comic Convention. This year World Events Productions was there to promote their new show “Voltron Force” (currently airing Thursday nights at 8:30 on Nicktoons) which turns the Voltron dynamic on it’s head by making the team enemies of Galaxy Alliance they swore to protect. 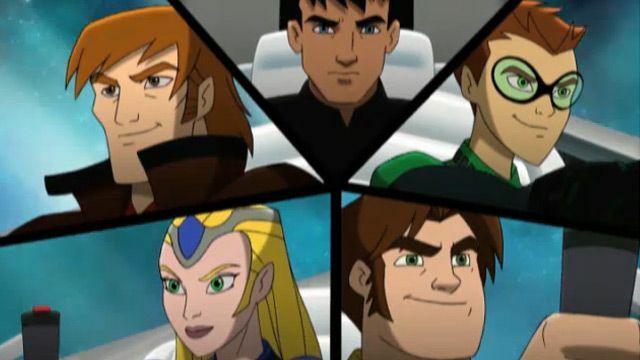 In the first of a series of articles I talked to “Voltron Force” producer Jeremy Corray about the new show, what we can expect in upcoming episodes, and whether the Vehicle Force will make a cameo appearance. One thing I’ve noticed with the Voltron revivals: “The Third Dimension,” the Devil’s Due comic books, and to an extent “Voltron Force” is they’ve been moving away from the magical aspect of “Voltron,” are there any plans to address this? A lot of that was purposeful. Voltron is a form of tech-magic and there are some things you cannot replicate. In our new series Wade tries to replicate Voltron, but he lacks the magic. They say that. We have King Alfor; we have Haggarium and the witch essence as our magical elements. A lot of those ideas came from talking to kids and their responses. Take Harry Potter. It’s kind to get your head around sorcery. We wanted to take “Voltron Force” and do a little of that Iron Man magic where you don’t know what the thing in his chest exactly does. But, to answer your question, yes the bad guys are going to start using dark magic like Haggarium. It’s what makes Voltron what it is, it’s “Lord of the Rings” meets “Transformers.” We fully embrace it and are going to embrace it much more in future episodes. Are they going into what happened to Haggar? We could. We’re at an interesting crossroads right now. As we say on the boards, the show kind of goes off “Go Lion” and the original 52 episodes with Lotor and Haggar having their falling out during the final battle. That’s our jumping off point. We like to say, “based on” rather then “exact” because of things like Larminia, Allura’s niece. Everybody was asking, “How does Allura have a niece?” That could also be addressed in future episodes. So it’s the actual follow up to Go Lion where Zarkon died as the Robeast? Are we going to explain how Haggar was so powerful that she broke apart Voltron, which was the catalyst for the series in the first place. I always wondered about that too. The space goddess factor. I think she’s the goddess’ twin sister. Goddess’ twin sister, that’s ridiculous. Let me write that down. Todd Garfield, our story editor, has done a great job of taking a fresh look at things. As everyone saw in episode 13, we learned there were previous incarnations of the Voltron Force. It makes sense because in the original series when they get the uniforms what does Coran say, “it’s good to see our uniforms back in action.” That’s something I want to explore in future episodes. Was there a Voltron Force Prime? Was Coran part of it? How does Alfor fit in? I don’t think anyone knows this yet but the origins of Voltron are going to be explored and it’s going to be a very surprising collaboration. Is Wade going to return? Wade’s on trial. He’s captured and on trial so we haven’t seen the last of him. Ha, well that is an interesting idea and I think if you see tonight’s episode of Voltron Force on Nicktoons they journey to Planet Balto 2.0 to rescue Pidge’s brother Chip so it will be the first official Vehicle Force character on the show if that tells you something. Keep watching! Have any ideas been pitched to bring back characters like Hazar and Viceroy Throk? Well, you never know but there are so many villains to keep track of already that adding on more to the Drule Empire will be tough. What about Merla and Cossack? 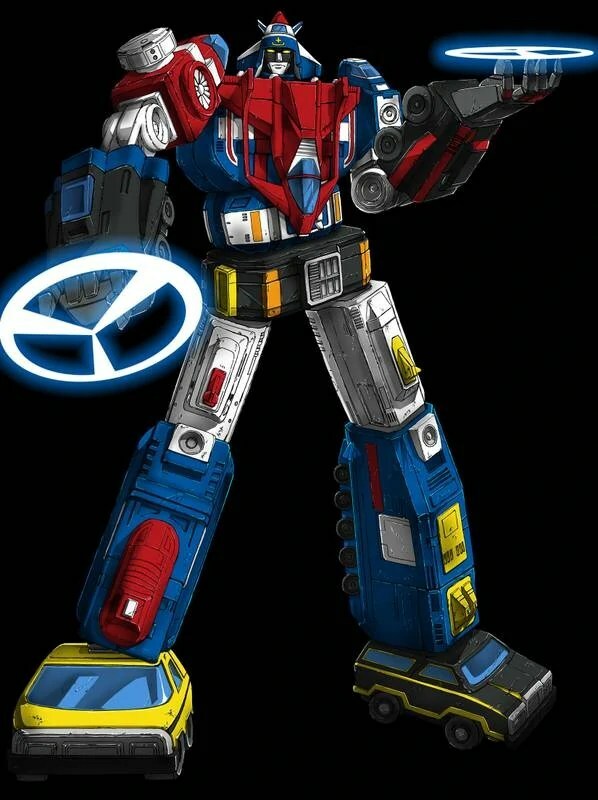 I was able to sneak Cossack in “Voltron Force” though he has a bit of a redesign and have become tougher and meaner. He’s the big guard in episodes like “Dark Blue” and others. Does Thanksgiving’s return of Sven (the original Blue Lion pilot) mean we’ll be seeing Allura’s cousin Princess Romelle? Again, so many characters already that for a show for kids it’s tough to keep track of them. You’ll have to watch Thanksgiving weekend to see! Are there any plans to deal with the characters pasts? Yeah we try and mix things up and go into some character bits with characters and you will see that in future episodes with a couple of key characters in some unexpected and surprising ways. With episodes like “The Hunkyard,” Todd (our Story Editor) was able to expand on Hunk’s past with the Crush Car Derby circuit so you can look forward to more insights like that. When “Voltron Force” was announced, WEP also announced plans to create a direct to video “Voltron” movie for older fans. Has development begun on this project? That is still the goal though the success of “Voltron Force” has certainly taken a lot of time and resources. Hopefully we can bring you more news on that after this season of “Voltron Force” wraps up but that has always been the goal to do a more edgy “Voltron” anime movie someday.